I don’t think Ovaltine is very popular in America, so here’s a quick lowdown on what it is. It is a delicious malt chocolate dairy product that you dissolve into hot water and drink. It’s often marketed as a restorative energy drink or something that you imbibe to kickstart your day right. I had some lying around, and since I hardly ever drank it, I decided to make a cake out of it. There are many things about this recipe I would like to highlight. Firstly, it’s in weight measurements, so you can’t really make this if you don’t have a scale. Secondly, I used whole wheat flour instead of regular and as usual, it imparts a slightly chewier texture to any baked good. 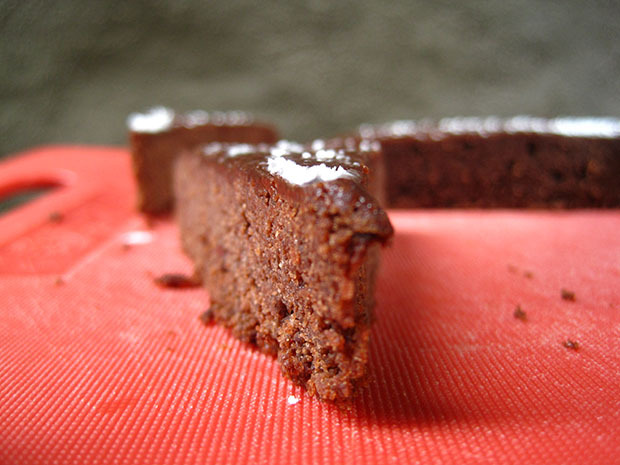 Thirdly, this cake is a lot less chocolatey than it looks: although it is a rich dark brown, the flavor is more mild and milky than deep and chocolatey. Fourthly, I didn’t have enough Ovaltine powder, but if I did, I would’ve sprinkled it all over the top for extra flavor. I really like raw Ovaltine powder. Fifthly, the texture of this is more like a cakey brownie. It’s a little bit fudgey but also a little bit cakey. With that said, bake away! Preheat oven to 350F. Grease and flour a 9-inch cake pan. Dissolve 50g of Ovaltine and coffee into warm milk. Let cool to room temperature. Sift together flour, cocoa, 50g Ovaltine, baking powder and salt. Set aside. Cream together butter and sugar until light and fluffy. Beat in egg mixture and stir in vanilla. Beat in the flour mixture and milk alternately, starting and ending with the dry ingredients. Bake for 20-30 minutes, until a toothpick inserted comes out clean. Let cool in pan for ten minutes. Invert cake onto a plate. 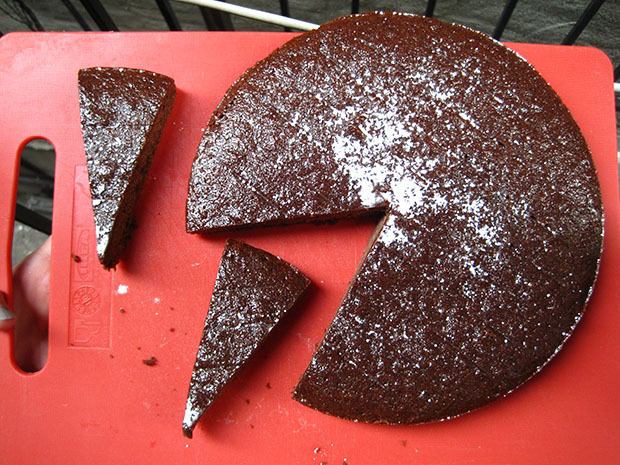 Brush the cake with melted salted butter and dust with remaining 25g of Ovaltine, or more if you prefer.